The unemployment rate in the St. Louis area remained slightly below the national average in May, but a local economics professor says the story behind that number isn’t good news. The Bureau of Labor Statistics released the non-adjusted data today. That means it does not take into account predictable seasonal changes. The 7 percent unemployment rate for the St. Louis area is an improvement from May 2012, and far below the peak unemployment rate of 10.4 percent in 2009. But the rate is dependent on how many people are looking for jobs. And Washington University economics professor Steven Fazzari says most of that improvement is because the labor market is shrinking. "I think you can account for about 2 to 3 percent so-called improvement in the St. Louis County unemployment rate just by looking at people dropping out of the labor force," he said. "In the city, in some ways, it’s even worse." 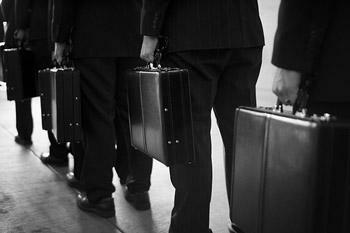 The Bureau of Labor Statistics data show that area employers added 9,400 jobs between May 2012 and May 2013. Most of that growth came in the trade, transportation and utilities sector. But the number of people employed in manufacturing continued its decade-long slide. Fazzari says the industry is producing more with fewer people, and that's bad news for St. Louis' more traditional economy. "I’m skeptical that we can use manufacturing as a basis for at least massive improvement in the labor market," he said. The regional jobless numbers come a day after the Brookings Institution ranked St. Louis 77th of the top 100 metropolitan areas in measures of growth like economic output and housing prices. Jobs that require at least some STEM, or science, technology, engineering and math, knowledge make up a big chunk of the St. Louis region's economy. That’s according to a new report from the Brookings Institution. Usually, researchers consider a plant scientist or electrical engineer as someone with a STEM job. A new report shows Missouri gaining nearly 18,000 jobs last month while the state's unemployment rate held steady at 7.2 percent. The state Department of Economic Development released the figures Tuesday. The agency says the net gain of 17,900 nonfarm payroll jobs from July included 4,900 jobs in manufacturing and 10,200 jobs in the government sector - nearly all of those at the local level. 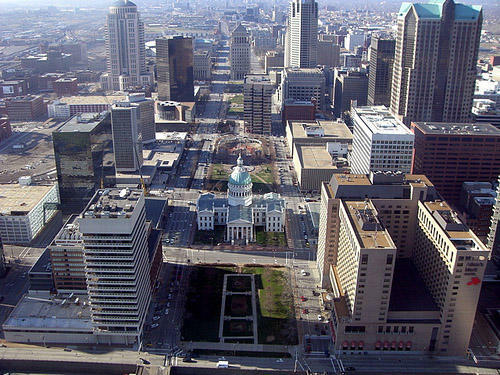 A Saint Louis University economist thinks he has found a key to growth for St. Louis. Professor Jack Strauss presented his findings this afternoon from an economic study that shows a direct correlation between an increasing immigrant population and economic growth. The study was originally released in June. He says he thinks it is likely that the city’s economic slump is partly due to a dwindling number of immigrants living in the area. Four and a half percent of St. Louis’ population is foreign. In other large cities, that number is closer to 18 percent.